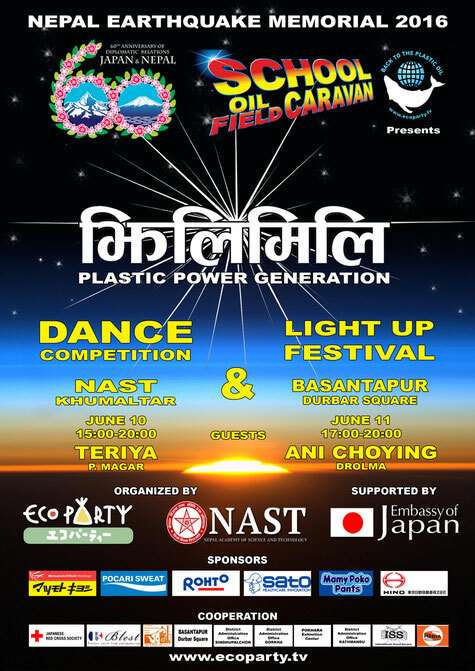 JHILIMILI LIGHT-UP FESTIVAL @ Basantapur Durbar Square. 11 JUNE @ Basantapur Durbar Square. We are very happy to welcome this day. Participated with candle light-up on Nepal Great Earthqauke Remembrance Day on April 24, one year after it occured. And started Dance Competition. 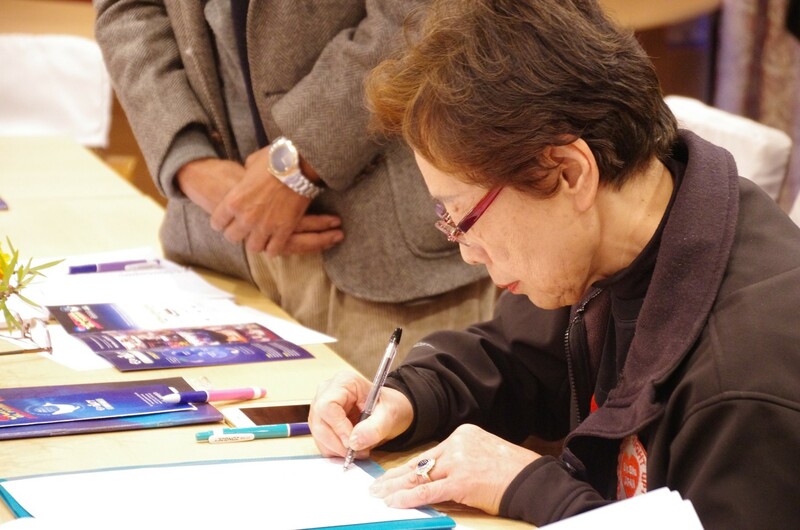 We really appreciate for All member, Japan's lighting team Hikaru Genji, Overheads, Sound & Recording Member, local volunteer who helped to lit 8000candles and all Nepalese staff who supported us during the caravan. And, World known Matra Singer ANI CHYOIN DROLMA's live with Light-up Festival was started on Temple of Shiva-Parvati. And again, Guest Dancer of Dance Competion ,TERIYA P. MAGAR. with her shadow back dance wearing School oilfield caravan's T-shirt. With the successful completion of all program. Now we are on preparation of sending back Truck to Japan through India's Kolkatta. Unexpected Rain from Morning with thunder and wind, created problem to set up all things such as Tents, lighting equipments, speakers and others. All member were hurrying to cover all equipments by plastic sheets(this was repeated three times from beginning). 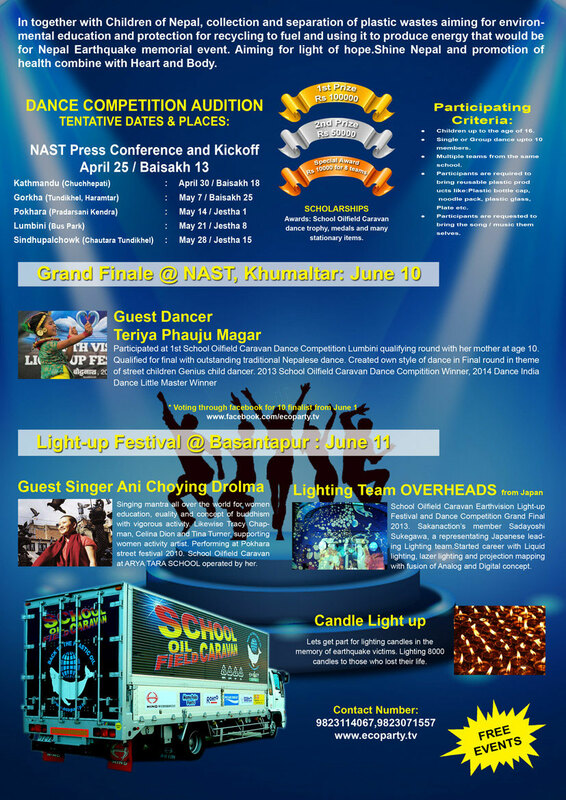 Due to those reason, Dance competition Grand Finale @ NAST opening ceremony was late two hours as scheduled. In occasion of 60 Years Dilpomatic Relationship Between JAPAN & NEPAL, various food stalls of japanese and nepalese where install.. Japanese chicken stick was very famous..
And then, From Mumbai to Kathmandu , participated on first edition of SCHOOL OILFIELD CARAVAN Dance Competion and winning the tittle and scholarship. She participates on India's Greatest Dance competition show "DANCE INDIA DANCE LITTLE MASTER" winner TERIYA P. MAGAR. Came back Dance on this edition As a Guest Dancer. Her dance was more improved as she participated before four year. After all Dance was finished with spectacular performance of all. Result based from three Judges and Public Internet voting system, Winner Pragati English High School from Sindhupalchowk, Runner up Bethany Higher Secondary School from Pokhara was decided. 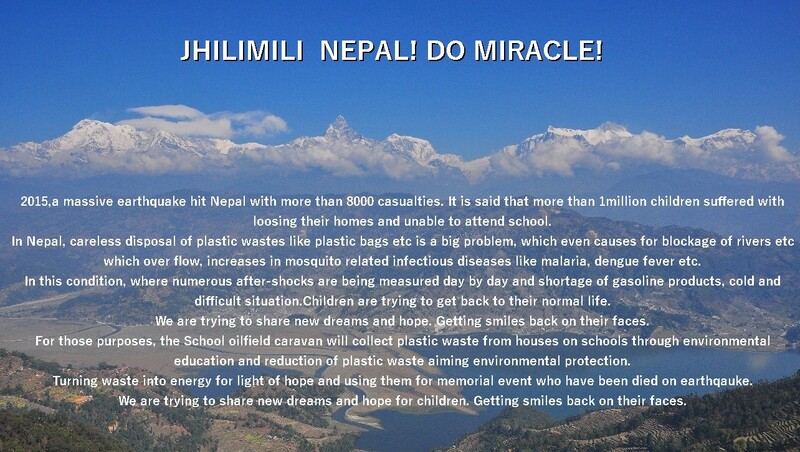 Dance of Children from last year earthquake places was like Shine Nepal with Light of Hope. 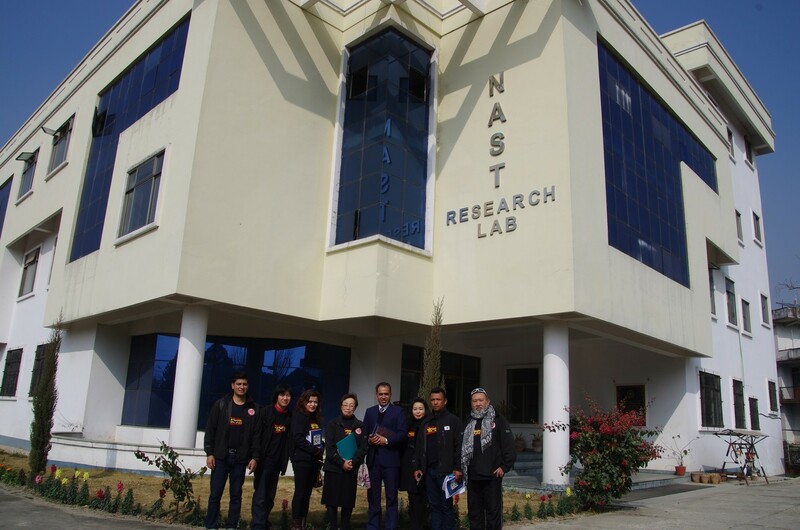 Thank you "Dherai Dherai Dhanyabaad"
SCHOOL OILFIELD CARAVAN has reached NAST,Kathmandu with customs clearance of India and Nepal. School Oilfield caravan with authorization of 「The 60th Anniversary of the establishment of diplomatic relations between Japan and Nepal」by Ministry of Foreign Affairs of Japan. Currently Waiting for Truck Custom Clearance in Mumbai. 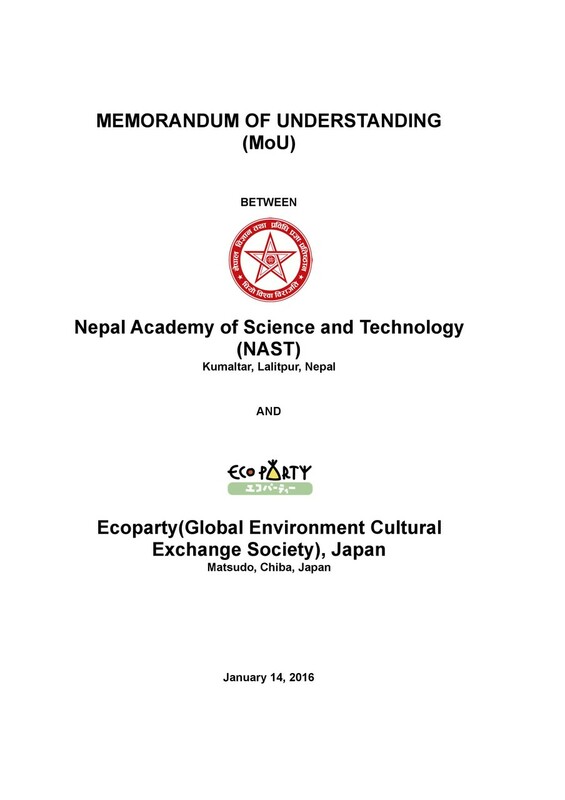 NAST (Nepal Academy Of Science and Technology) lalitpur, Nepal And ECOPARTY(Global Environment Cultural Exchange Society) has signed bothly on MoU with an objective of recycle oriented society for reduction of global environment problem plastic waste for environmental protection and Education. 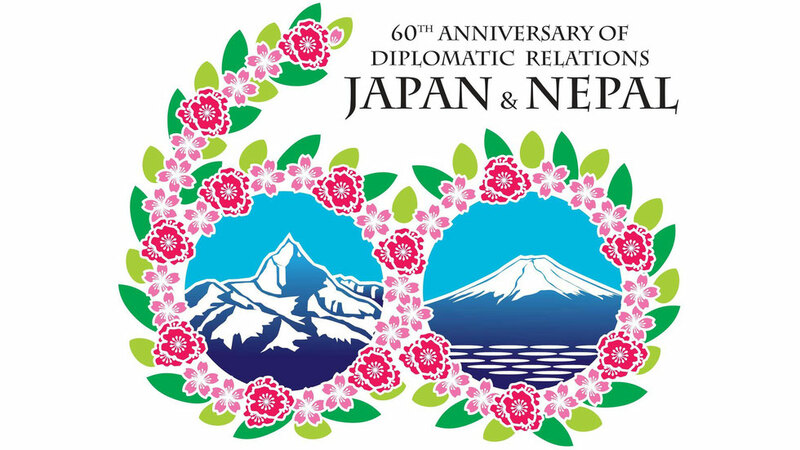 And, NAST requested for movement of "School Oilfield Caravan" on Occasion of diplomatic 60 years relationship anniversary between Japan and Nepal. On receiving this request, a continous operating plastic recycling system installed on heavy truck(lorry) a Vehicles carnet system(AIT / FIA Carnet de Passages en Douane " , the documents to simplify the customs procedures of the Temporary Importation of Private automobiles) is schedule for January 25 from Yokohama port to Mumbai through the means of Marine transport. And then, uploaded truck will aims its way to Nepal on land route. 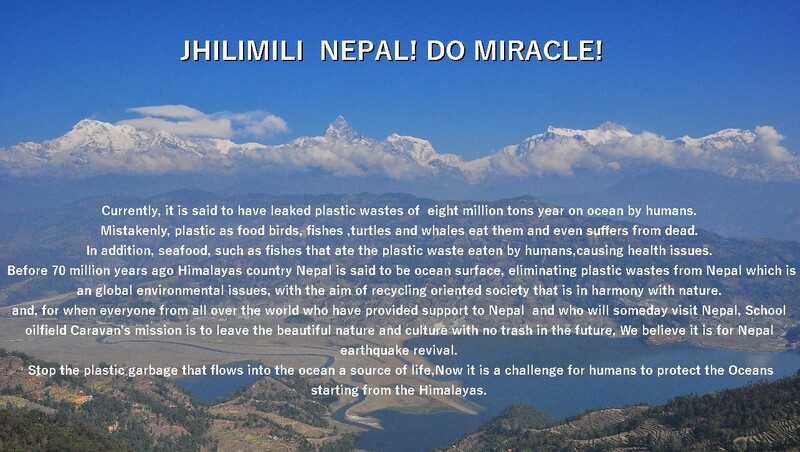 As like 2011,can clear customs of Nepal border that Buddha was born,while tracing the footsteps of the Buddha or in this time, we believe that sufficient attention is required after last year's earthquake , because of serious fuel shortage and political instability for our activity.